There is increasing interest in the use of animal-like robots in applications such as companionship and pet therapy. However, in the majority of cases it is only the robot’s physical appearance that mimics a given animal. In contrast, MiRo is the first commercial biomimetic robot to be based on a hardware and software architecture that is modelled on the biological brain. 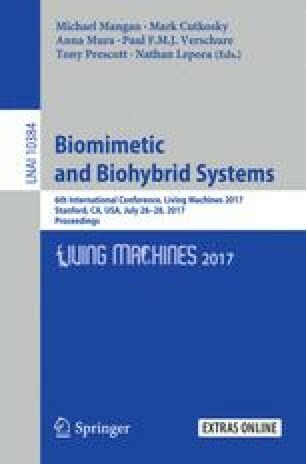 This paper describes how MiRo’s vocalisation system was designed, not using pre-recorded animal sounds, but based on the implementation of a real-time parametric general-purpose mammalian vocal synthesiser tailored to the specific physical characteristics of the robot. The novel outcome has been the creation of an ‘appropriate’ voice for MiRo that is perfectly aligned to the physical and behavioural affordances of the robot, thereby avoiding the ‘uncanny valley’ effect and contributing strongly to the effectiveness of MiRo as an interactive device. This work was partially supported by the European Commission [grant numbers EU-FP6-507422, EU-FP6-034434, EU-FP7-231868 and EU-FP7-611971], and the UK Engineering and Physical Sciences Research Council (EPSRC) [grant number EP/I013512/1].